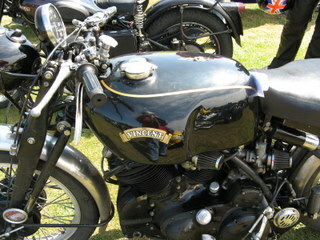 Used Motorcycles - an excellent way to buy into the motorcycle market is through a used motorcycle. Most of the people with whom we ride own at least one motorcycle that was bought used. If you are careful, and do your research before handing over the cash, you can get a great deal on a previously owned motorcycle. Have a few models in mind, then pull your local newspaper and begin your search. If you can find one in your area, you have the added benefit of seeing the bike personally. See if you can have the bike looked at by a mechanic. Do a test ride. Ask for service records, particularly from the last service. Inquire into the maintenance history of the bike, and find out if the bike has ever been in a accident. If possible, try to learn the ownership history of the motorcycle. It's also important to learn how the motorcycle has been stored - street parking or safely stowed in a garage. Ideally, you want to buy an older motorcycle from someone who has loved the bike and has taken good care of it. This being said, we all know just how ideal this world can be. Be wary of sellers who just don't know the answers to your questions, and sellers who bought the bike used and just didn't put any miles on it. If this is the case, ask more questions and be prepared to keep looking. One drawback you might encounter when buying a used motorcycle is the lack of an owner's manual. 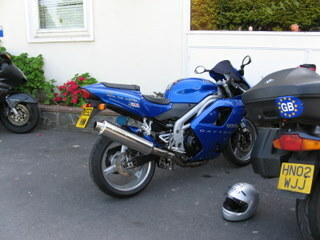 If the seller bought the bike used, it may not have been transferred with a manual. The owner's manual is a wealth of useful information, and I highly recommend that you track down the appropriate manual for your model and model year. You can start off by contacting the manufacturer - some manuals may even be accessible online in a PDF format.You can also consult your local library or bookstore, and if you continue to strike out, a bookseller who specializes in vehicular books may be your best bet.